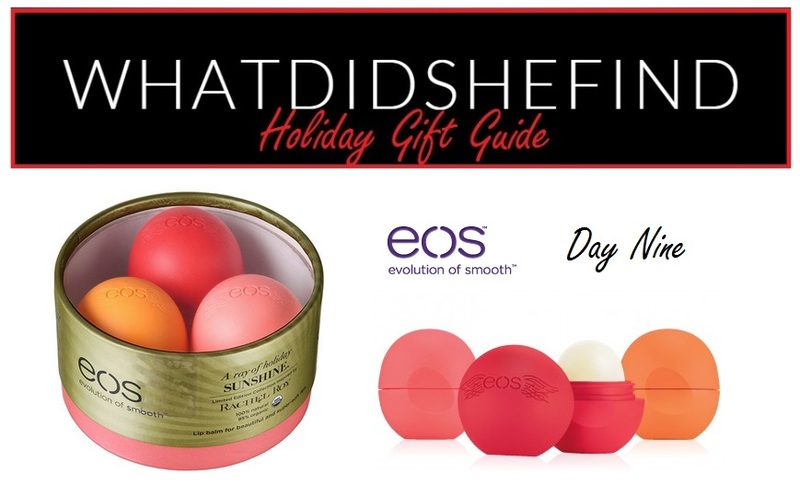 Today’s gift is perfect for an exchange with your girlfriends or as a stocking stuffer. With their fun shape and yummy flavours (not to mention their amazing moisturizing ability), eos (evolution of smooth) lip balms are typically sold individually. This fun set of 3 is not only limited edition for the Holiday 2014 season, it was also inspired by fashion designer Rachel Roy, and her travels to warm destinations around the world: Hawaii, India, and St. Barth’s. Flavours include: Orange Blossom (Indian Summer), Strawberry Kiwi (Aloha Hawaii), and Pink Grapefruit (St. Barth’s Sunrise). Certified organic and 100% natural, these balms make your lips super-soft and are perfect for battling Winter’s cold, dry air. You can purchase this set online or in-store at Indigo (or Chapters) for $15.00.